In contrast to typical construction, energy efficient new homes are quality-built for superior performance and lower monthly energy costs. Homes qualified through PECO New Home Rebates achieve energy efficiency through established, reliable building techniques. From high performance windows to advanced heating and cooling systems, energy efficient homes offer reduced energy costs, increased comfort and peace-of-mind. Lower operating costs: Qualified homes are typically 30% more efficient than code-built new homes. By using less energy, the homes cost less to operate, which means more money in your customer’s wallets month after month. Better performance: Energy efficient homes feel more comfortable. 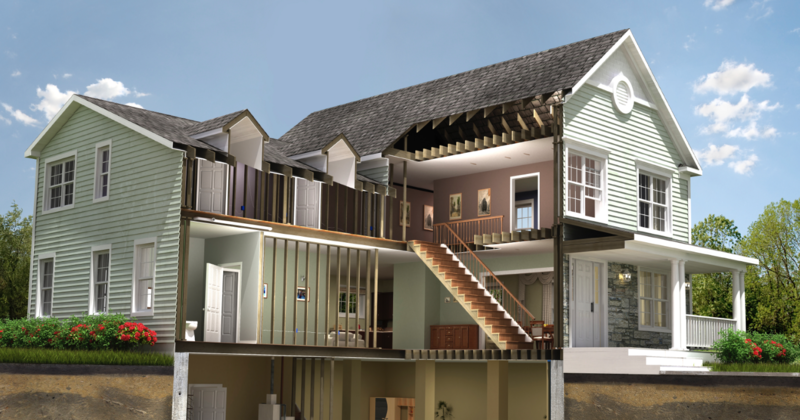 Additional insulation keeps the inside of a home at a more stable temperature. Indoor humidity is better controlled, and drafts are reduced. Efficient homes are often very quiet because the extra insulation and tight construction help to keep out exterior noise. Smart investment: Energy efficiency in a new home is an increasingly valued feature when the time comes to sell. Potentially higher resale values, combined with lower operating costs, make an energy efficient new home a smart investment.